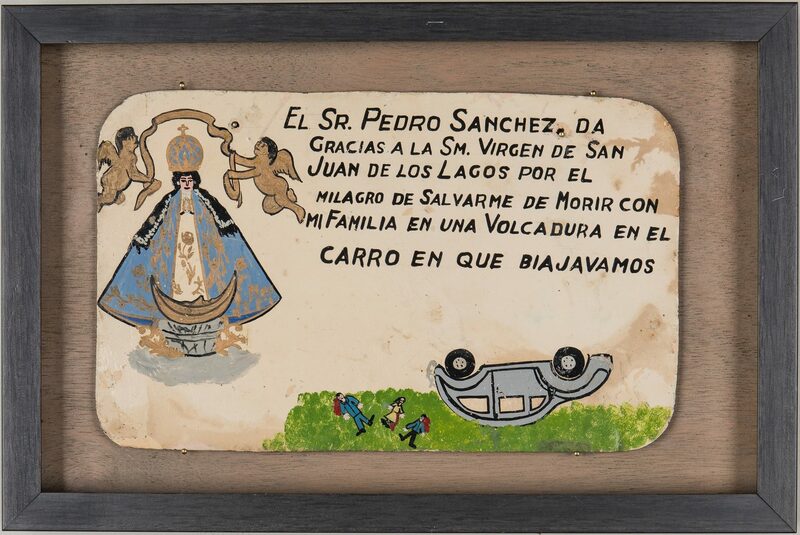 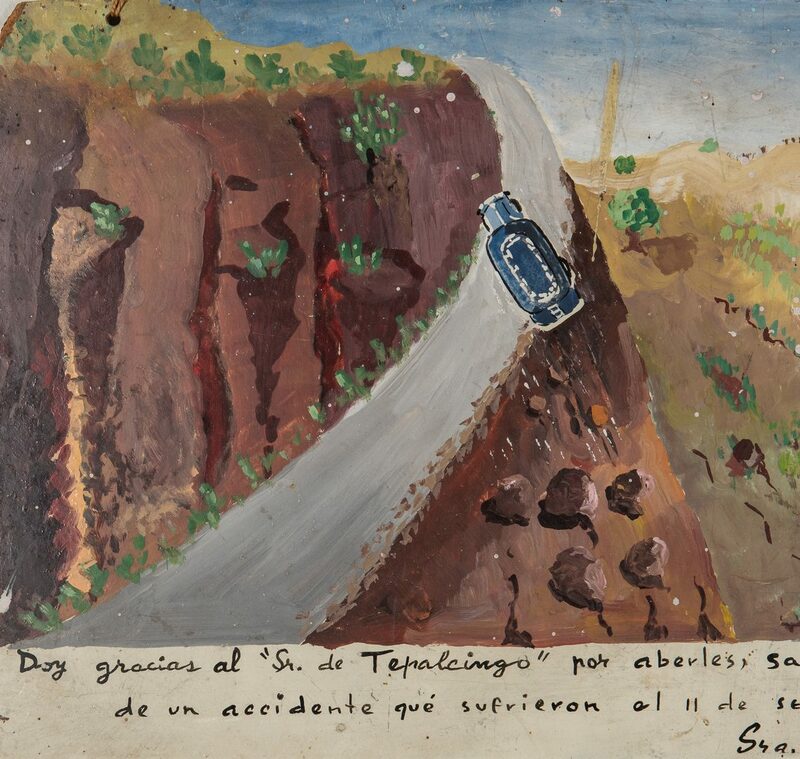 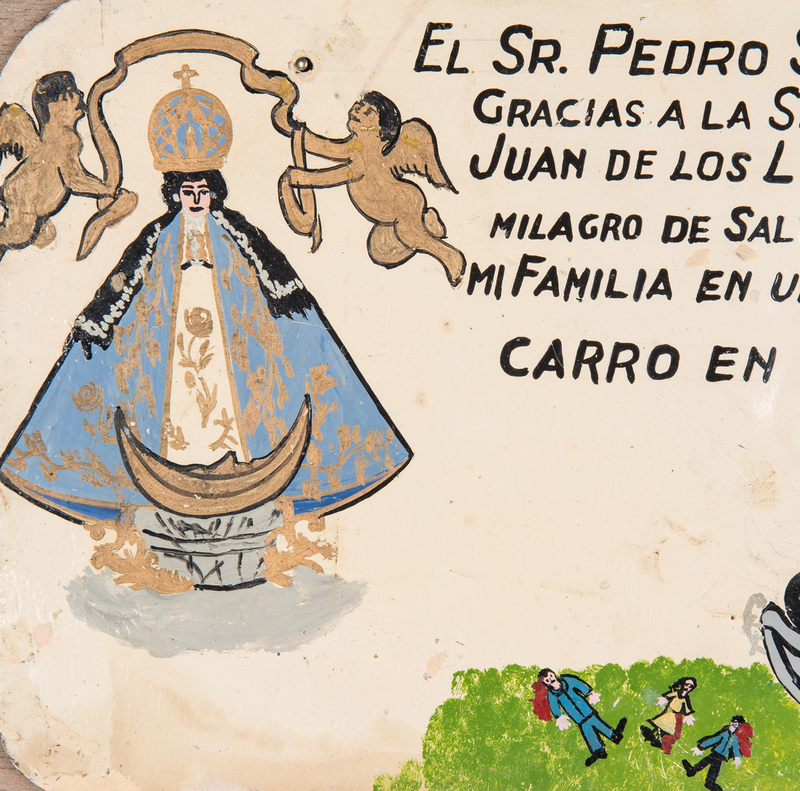 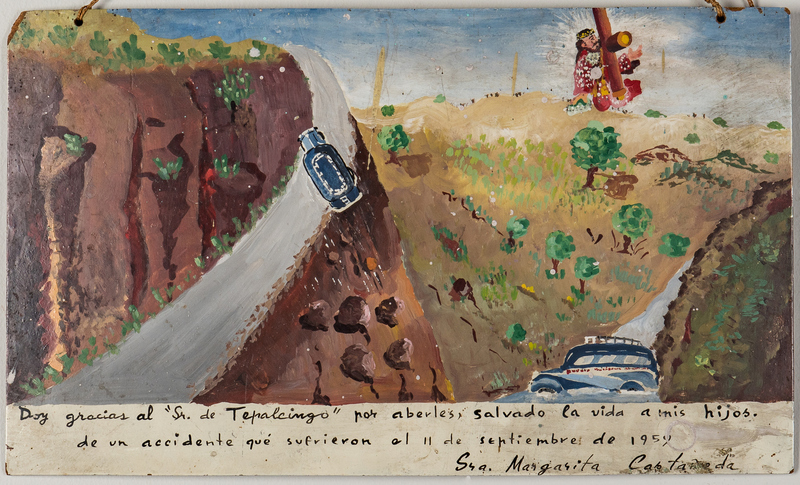 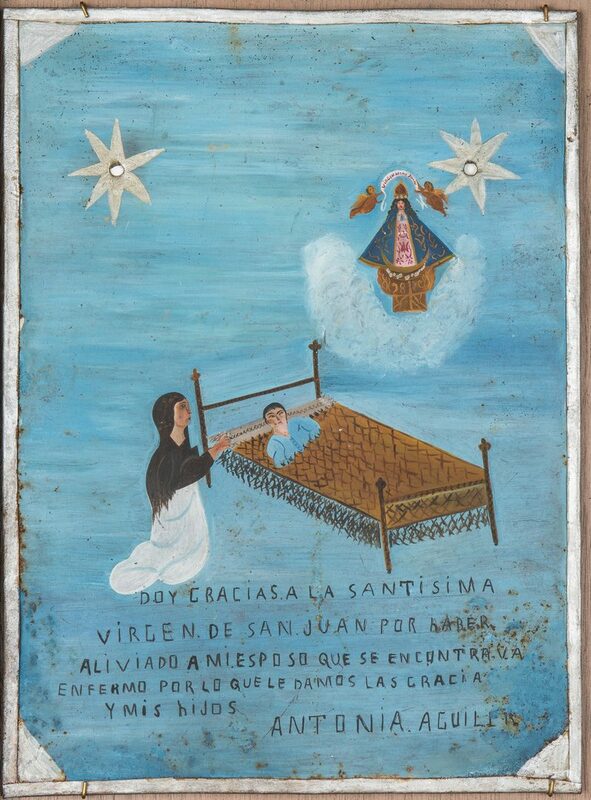 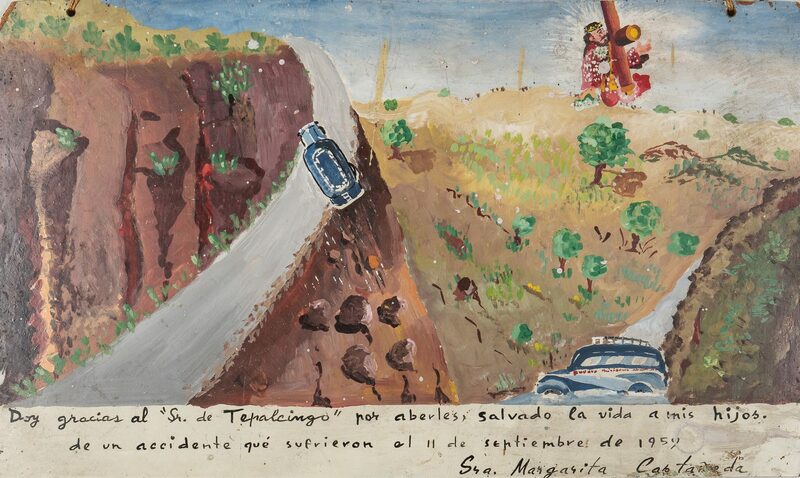 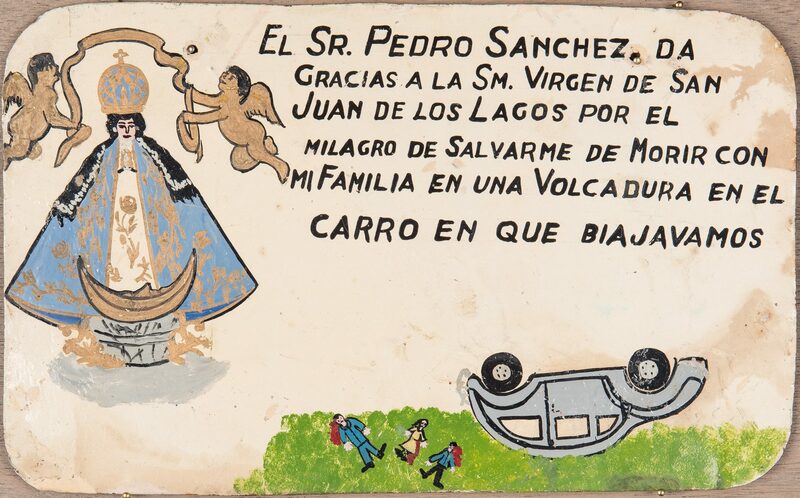 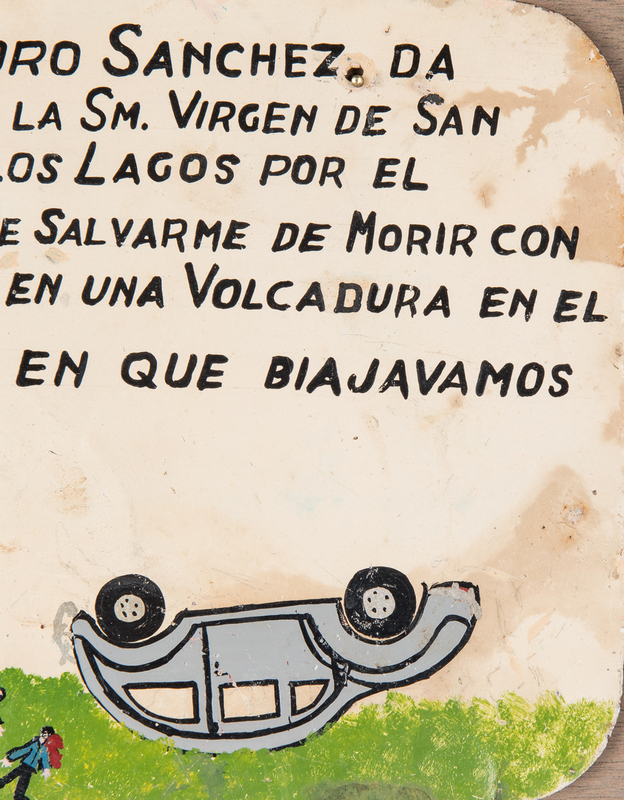 Grouping of five (5) 20th century Mexican religious painted folk art ex-voto retablos, including one (1) bus accident miracle, one (1) car accident miracle, and three (3) healing miracles. 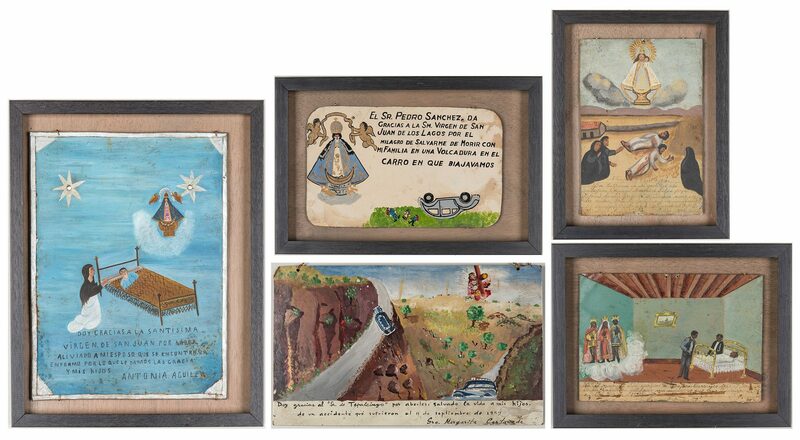 Four (4) framed and painted on tin, one (1) unframed and painted on board. 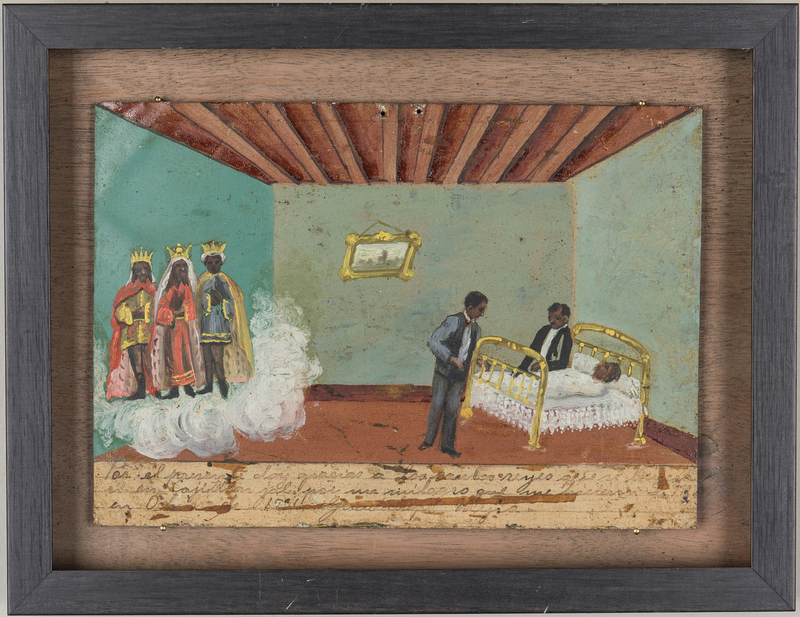 Ranging in size from 10" H x 15" W to 18" H x 14" W. Provenance: The Estates of Olen Bryant and late Vanderbilt University art professor Thomas Brumbaugh, Clarksville/Cottontown, Tennessee. 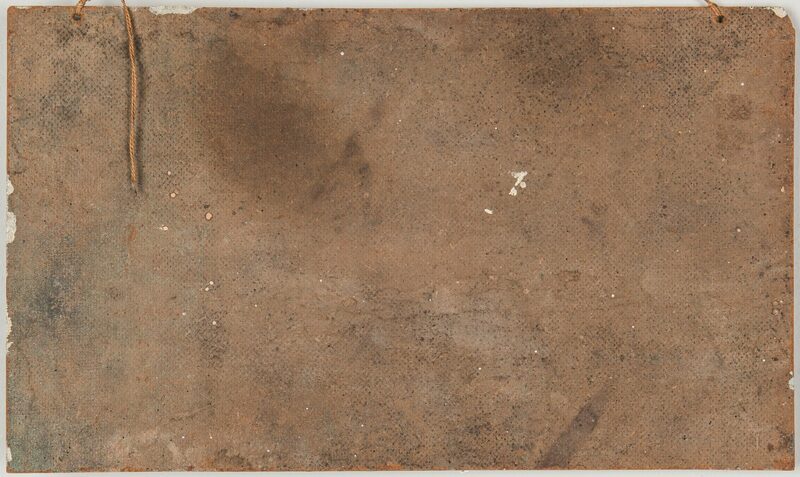 CONDITION: All with general wear and losses. 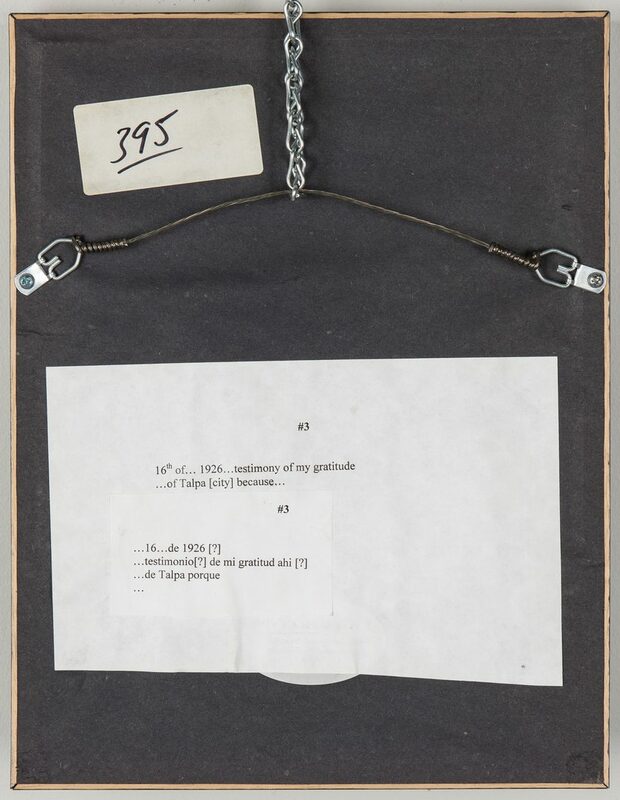 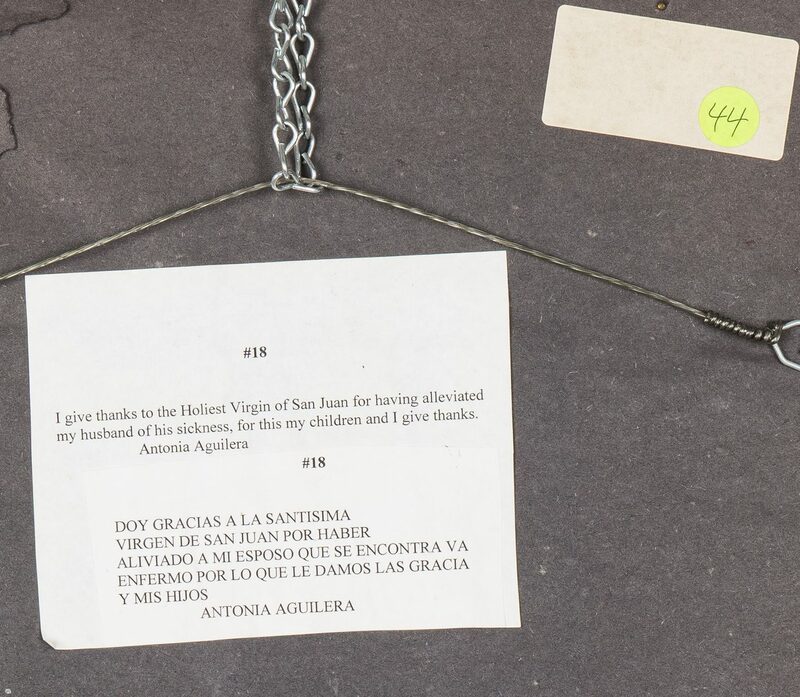 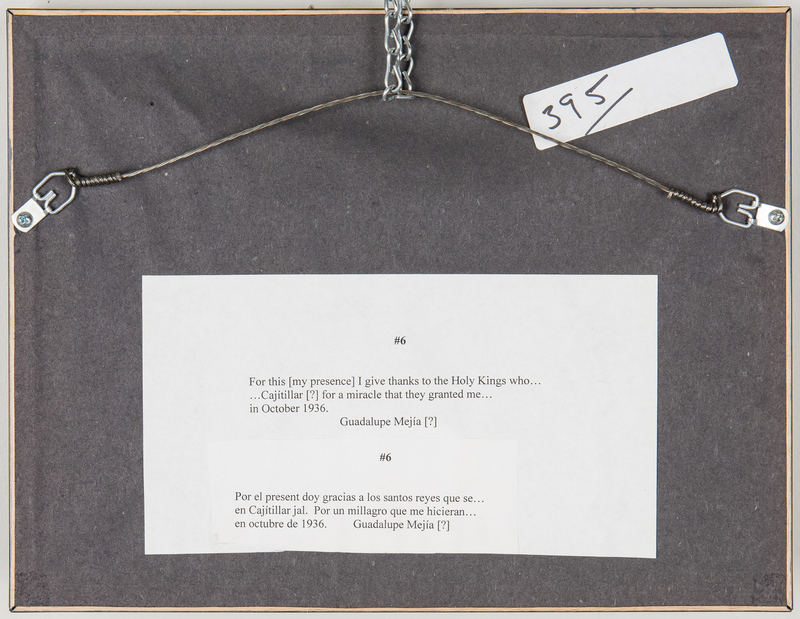 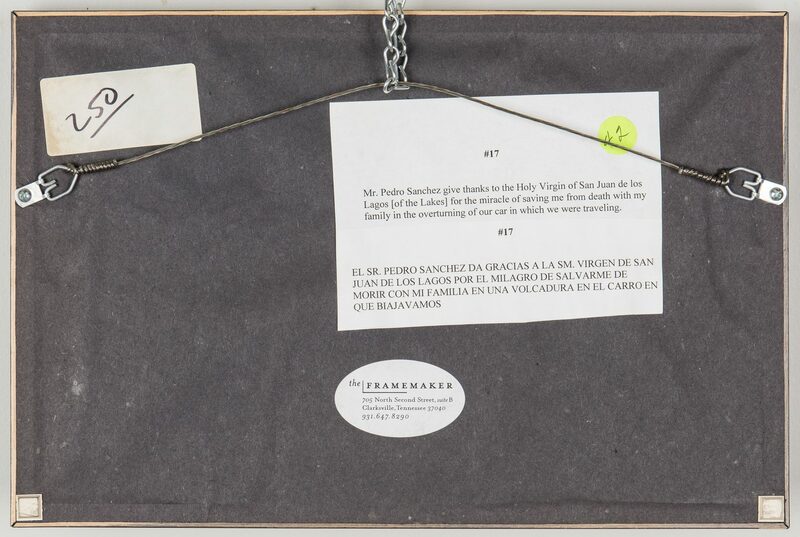 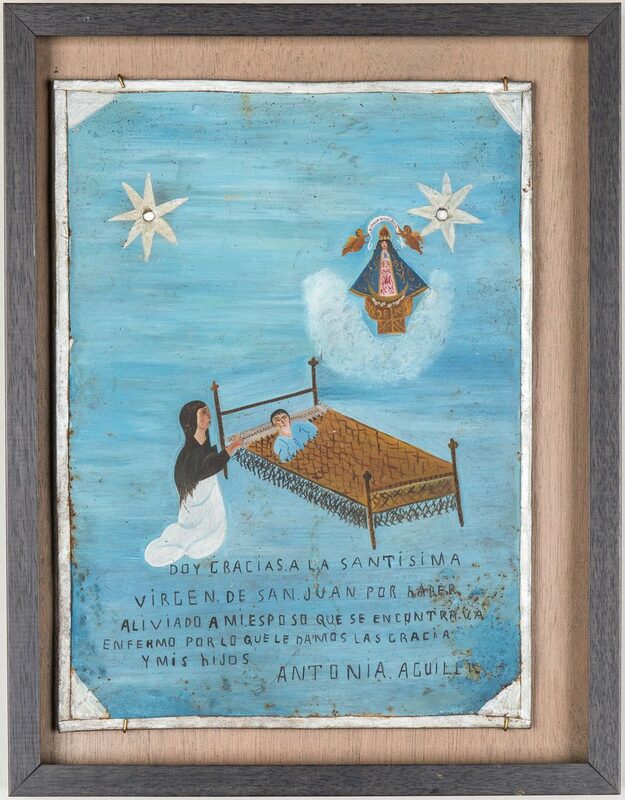 A couple retablos secured to frame with pins with shifting in the frames. 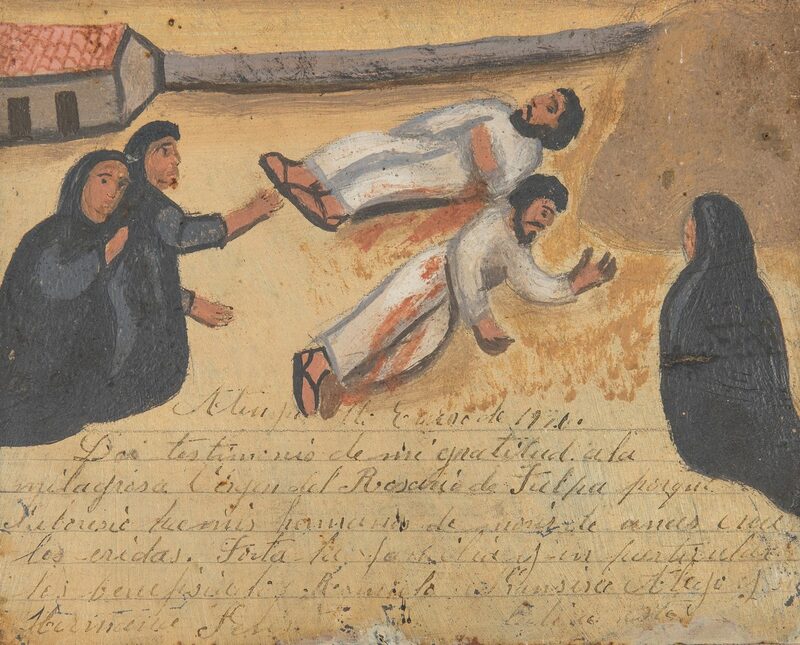 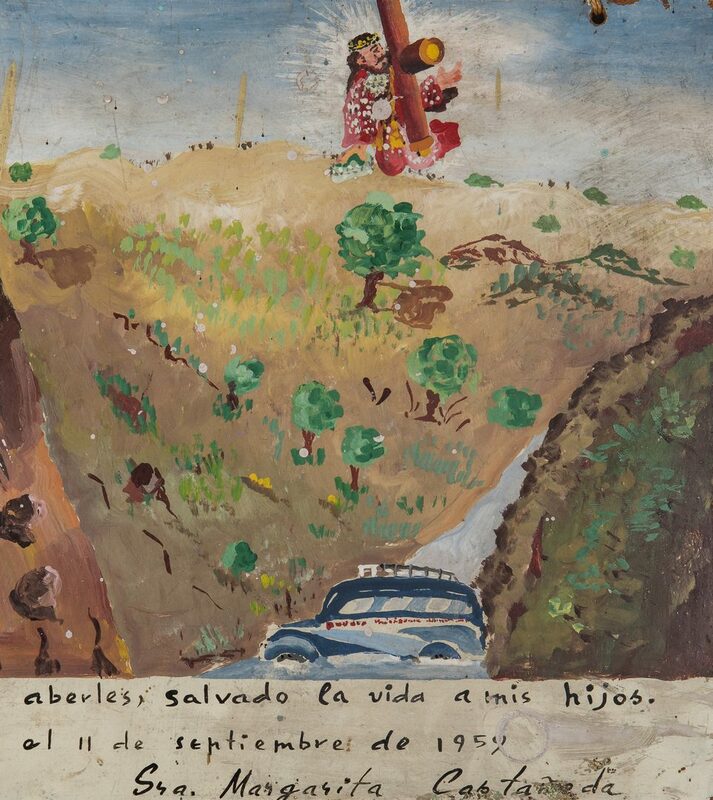 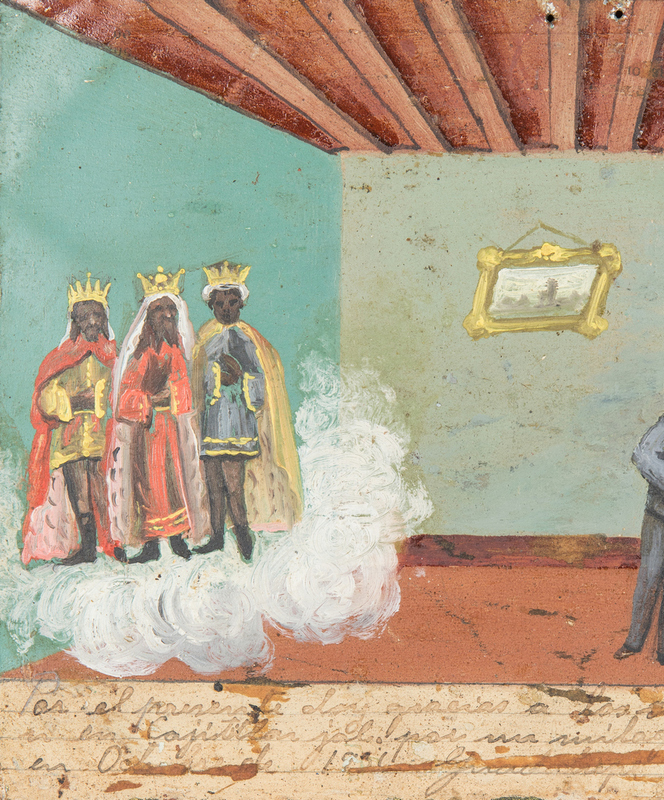 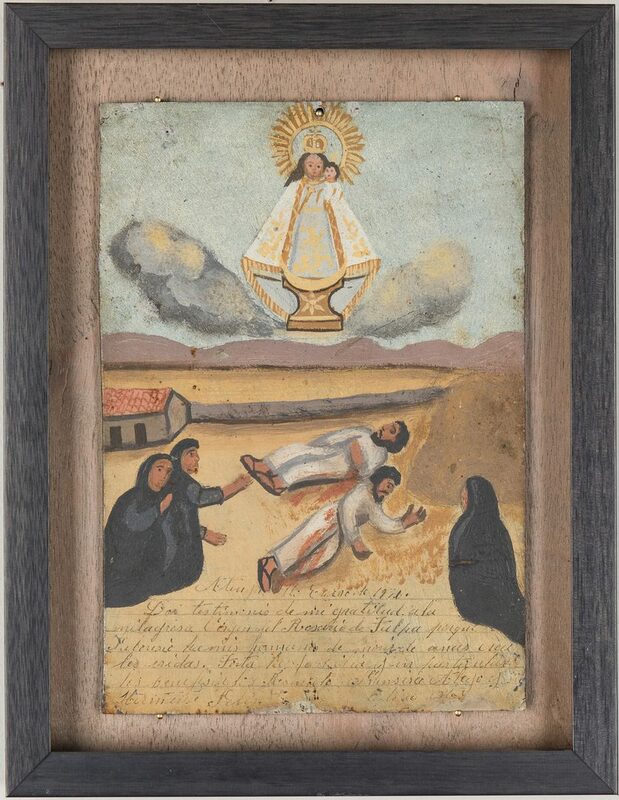 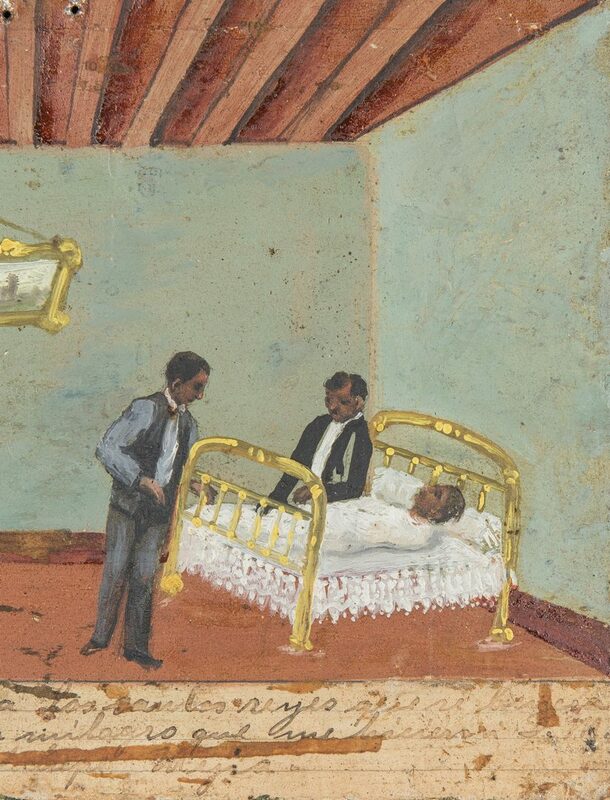 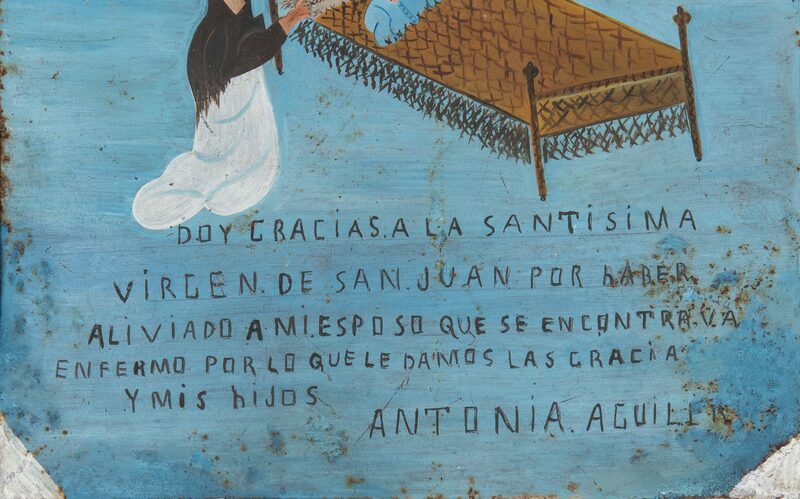 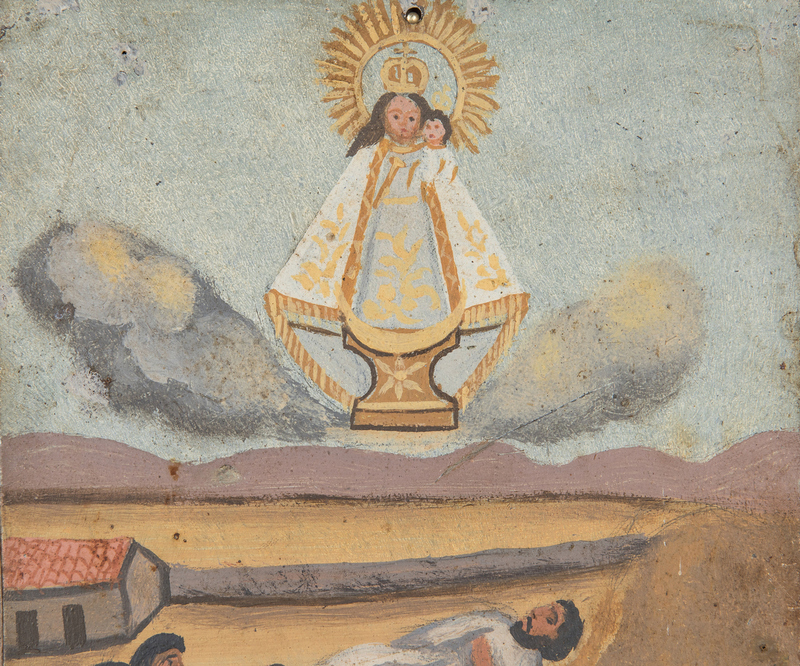 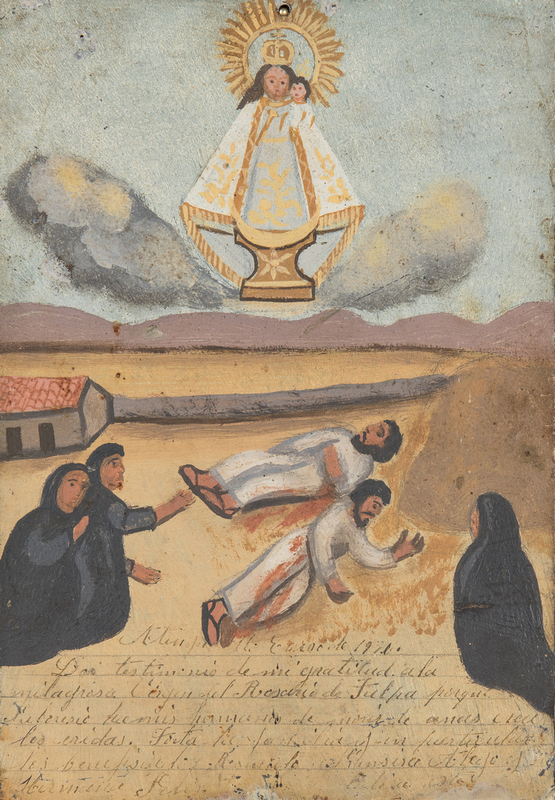 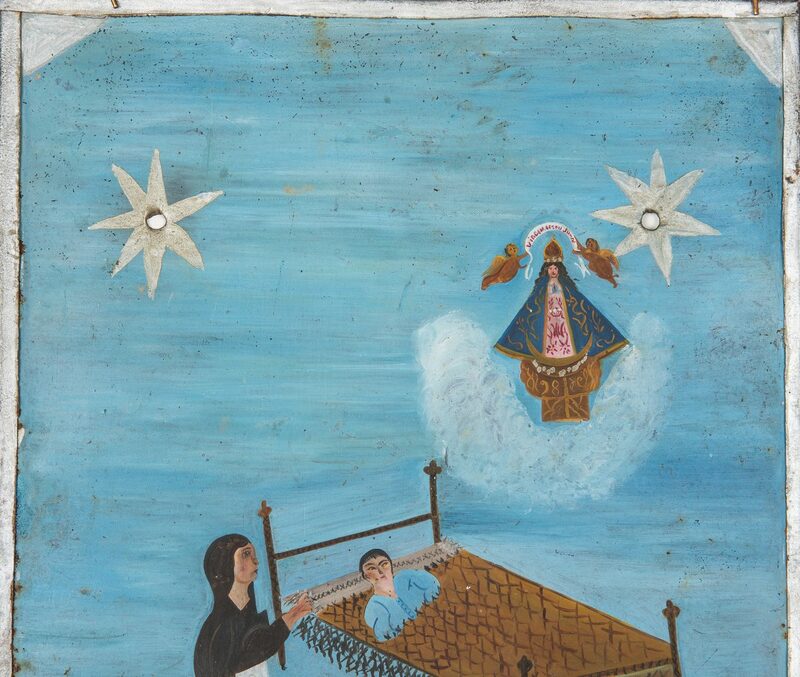 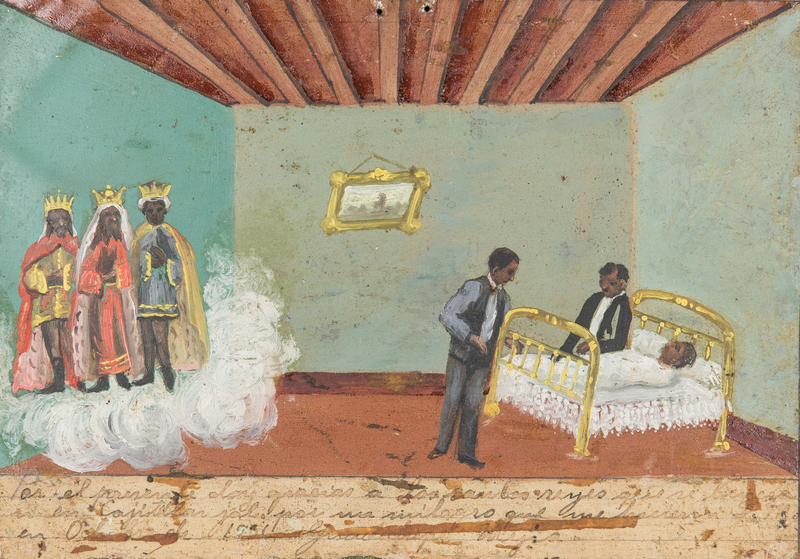 Loss to upper left corner of retablo on board.